Functional foods are those that have a beneficial effect on health beyond the basic function of nutrition, helping to promote better health conditions and to reduce the risk of various diseases. This concept was created in Japan in the 1980s and is widely used around the world. The regulation of these products is made by different authorities and has not been defined yet in many countries. The field of food production has increased and changed considerably in the last decades, since the consumers believe that foods, besides satisfy hunger and to provide necessary nutrients for humans, also contribute directly to improve their health conditions. 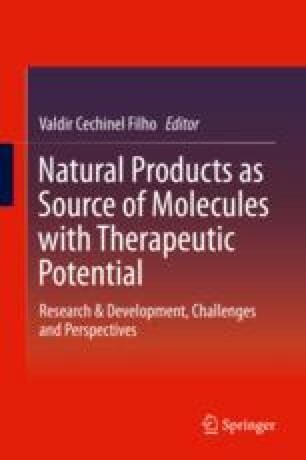 The present chapter will focus with marked examples the main categories of functional foods and respective therapeutic potential (cardioprotective, hepatoprotective, hypolipidemic, antioxidant, anticancer, anti-inflammatory properties, etc.) as well as the active principles responsible for the medicinal properties (flavonoids, alkaloids, terpenes, etc. ), including curcuma, garlic, olive oil, grape, broccoli, and probiotic, among others.